It’s been quite a summer for Raphael Guerreiro. Superb performances at Euro 2016 culminating in a championship winner’s medal and a big-money move to German giants Borussia Dortmund made June and July unforgettable months for the French-born 22-year-old. And it has not taken him long to make a positive impression at the Bundesliga club. “Guerreiro is way too good to be played in only one position,” enthused Dortmund coach Thomas Tuchel, who has used the Portugal left-back in midfield. PortuGOAL enlisted the help of German football journalist and Borussia Dortmund expert Luca Gierl to find out more about Guerreiro’s instant adaptation at his new club. PortuGOAL: How would you assess Raphael Guerreiro’s impact since his arrival at Borussia Dortmund? It’s fair to say that he has had a huge impact on the way Dortmund are playing as well as the results. Before he got into the starting XI Borussia struggled in possession against Mainz and Leipzig, losing against the latter. Since Guerreiro has been starting Dortmund have won 6-0, 6-0 and 5-1. Admittedly the two 6-0 results weren’t against the best of opponents but Guerreiro also changed the way Dortmund are able to play in possession. 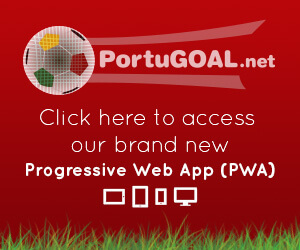 PortuGOAL: It seems he’s not playing at left-back, where he has excelled for Portugal. What exactly has been his position? PortuGOAL: How have the Dortmund fans and German media taken to him? The German media is very enthusiastic. Maybe a bit too enthusiastic. They are already calling him stuff like “the new Philipp Lahm” and can’t shut up about how great a signing he is. The Dortmund fans, naturally, also see it that way. When he was subbed in a home game he was accompanied by cheers and almost something that resembled a standing ovation. BVB fans certainly can’t wait for things to come from him and the same goes for me. Our thanks to Luca Gierl for sharing his insight. To keep a close track of Guerreiro’s progress at Dortmund be sure to follow Luca on Twitter (@LucaGierl). The stats back up the enthusiasm in Germany regarding Dortmund’s signing of Guerreiro. He has scored two goals and provided four assists in the three games since being given a starting berth in the side, and he will surely be a regular for Tuchel from here onwards. PortuGOAL also tapped into the thoughts of Dortmund fans on twitter, inviting them to share their opinions on the Portugal player. The reaction was conclusive. 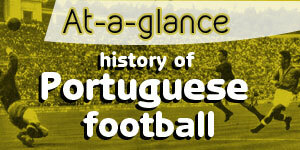 @PortuGoal1 @BVB Awesome, as expexcted. Been playing as a winger and CM and has looked very accomplished. @PortuGoal1 @BVB I've watched a couple of their matches and he's looked solid. Well worked goal and a nice assist tonight. 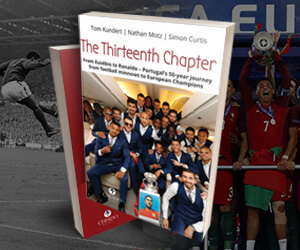 @PortuGoal1 Brilliant. Best player against Warsaw and Darmstadt. Fantastic today as well. His versatility is unreal. @PortuGoal1 @BVB to play as both a LB and a CM. Very good distributor from set pieces and offers both ATT/DEF qualities. @PortuGoal1 @BVB Outstanding, remarkable, fantastic, brilliant, exceptional, phenomenal, marvelous, sensational. We love him. That is not a bad way to be viewed after one month at a new club. As discussed with our resident French football expert James Eastham in PortuGOAL podcasts in May 2015 and April 2016, Guerreiro appears to thrive every time he is asked to step up a level. Barring injury, all the signs point towards the Seleção being able to count on a world-class player in its ranks for the next decade. This is great news, if he can also play in the midfield or as a winger we can manage a way to get Coentrao back in the starting 11 and Guerreiro in one of those positions. Lets hope Santos experiments with him a bit. I decided to watch the replay of Wolfsburg vs Dortmund. In the first half Guerreiro played in the midfield but he seemed to have free rein; he was everywhere. In the second half he played as a left winger. After watching this game I doubt that he will play many games as a left back for Dortmund and I wonder if Portugal wouldn't be better served with Guerreiro playing in the midfield or as a winger. The match commentator said that the Dortmund coach described Guerreiro as a versatile intelligent footballer. And he is right, however I believe that many people don't realise how athletic Guerreiro is because he does things effortlessly. It's this combination of intelligence and athleticism that makes Guerreiro a great player. He has excellent acceleration and deceptive speed. He always looks to penetrate. Nine times out of ten he finds the open man. And he anticipates the opponents attacking plays by covering the man who is running off the ball. To summarise, he is a great athlete with impeccable decision making skills. I look forward to watching Dortmund vs Madrid. Dortmund plays a high speed transition game that will give any team considerable trouble. I have watched the most recent game against Wolfsburg and he was excellent. He was a part of all 5 goals. Scored one, assisted two, a corner and a flick on from a throw in. He made two great through ball passes which led to two assisted tap-ins. I like him in the mid field, especially on the left wing. He has a very good finishing touch, so if he gets close it is going to be a tough shot for the goal keeper to stop. He is one of the free kick takers on his team and does a great job. Oftentimes there is some thought that a player needs to be highly proven before coming onto the National team. He is a case where being on the team helped drive his form in the club team(Lorient). The issue with him for the national team is if Coentrao isn't fit, we need him at left-back because there is no one close(hoping Antunes and Ricardo Periera can get there). And we have a quite a few options in the midfield. This is Terrible new!!! Fabio Coentrao, is finished as a top player! always remember that the best ability is availability and Fabio cant stay healthy. If there is one position that Portugal has allot of quality.....its in the MF. Dont forget we still have allot more coming including Ruben Neves WE don't need Raphael to play MF! Dont forget that he is already one of the best LB in the world. He was on the all first tournament team, after a great Euro for Portugal. Calm down guys. Even at Lorient, Raphaël didn't always play at leftback. He natural position is LM. He's proven he can play anywhere and excel. We'll be fine when he comes back and plays LB for the national team. Coentrão should be back soon. I hope this injury doesn't affect him mentally too much and he's back to the Fábio pre all these injuries. On another note. Rafa Soares has been doing really well. I have high hopes for him. He scored again today against Freiburg after coming on in the 71 st minute. Scored in extra time, a goal that shows that he has a strikers touch around the net. I'm telling you Portugal needs him more up front than at the back. How would this team look? Gomes, Sanches, Moutinho, Rafa, Gélson, Andre Silva on the bench. I think it is great we have so many options. We used to have one line up for every game. Now we can play around with formations and the midfield depending on who we play. If we are looking to dominate possession and play short passing we can play short passing we can play andre gomes. If we are looking to choke the opponents midfield and play on the break we can play andrien and sanches. The use of guerreiro can depend on this too, as tuchel has done.